Genuine British Military Issue DPM Desert Camouflage. 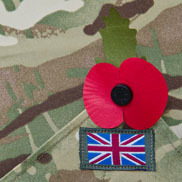 Grade 1 - Very Good Condition - Issued..
Genuine British Army Surplus British Military Issue. DPM Woodland Camouflage. Grade 1 - Ve..
Genuine British Army Surplus British Military Issue DPM Woodland Camouflage. Brand new - m..
Genuine British Military Issue DPM Woodland Camouflage. 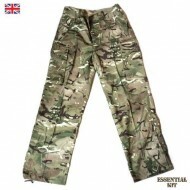 Issued, but in excellent Super Grade..
Genuine British Military Issue Brand new - may or may not be in original sealed packaging but ..
MTP PCS Warm Weather Combat Trousers Genuine British Military Surplus Super Grade - ex..